A truly rare and impressive raised ground floor flat with unspoilt original proportions. Many conversions of this size are cut up to create two bedroom flats - but this is a beautifully interior designed gem that makes the most of the flat's natural light and lovely period features. There is good built-in interior storage as well as a secure external storage vault. In this desirable and convenient location between Hammersmith Grove and Brackenbury Road, Benbow Road is a quiet and elegant street that has the benefit of good local shops, cafes and restaurants on Hammersmith Grove. Westfield, Central line tube and Hammersmith Broadway (Main tube and bus station) are equidistant, and within a short walk. 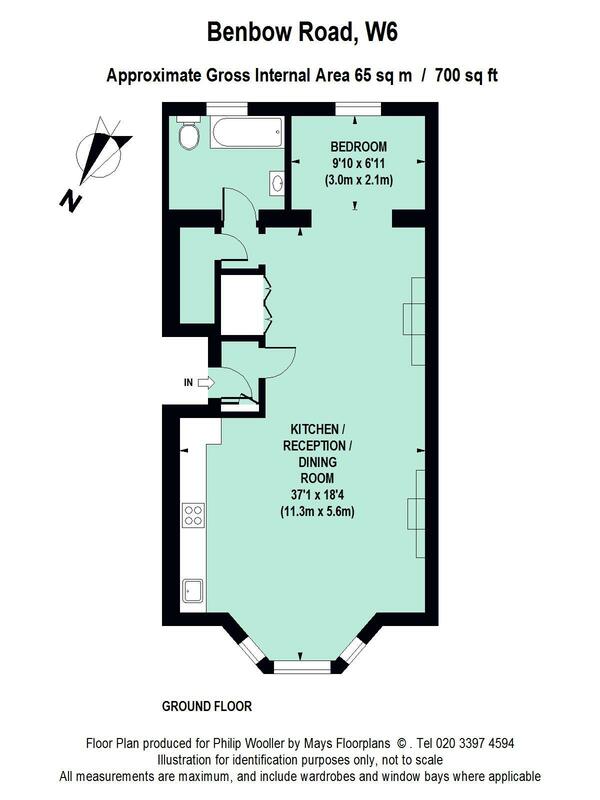 Goldhawk Road tube is also only a few minutes walk from the property. It is within the catchment area of good local primary schools and close to numerous nurseries as well as to Ravenscourt Park. 700 sq ft / 65 sq m approx.